Flowers are one of the most beautiful creations of God that can effortlessly grab the attention of the people around them. They are the amazing constituent of Mother Nature that brings cheerfulness, happiness, and positivity to the lives of people. Every season comes with their signature flowers. Crossing spring, when the weather is slowly changing to summer, aren’t you all excited to know about the best flowers to grow during the summer season. 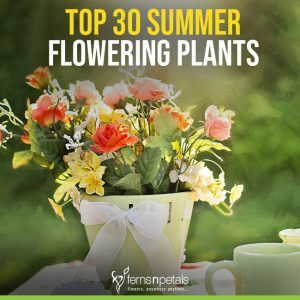 To answer this question, here is a list of top 30 summer flowering plants that you can bring home or gift to your near and dear ones. 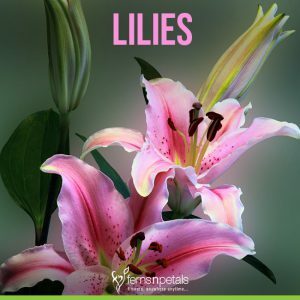 The elegant lilies can effortlessly survive in extreme weather conditions. The flower has a unique way of preventing the loss of excess moisture by letting its leaves dry up while keeping the main bulb of the flower alive. Blanket flower or the gaillardia is a perennial flower that can grow easily in drought and hot regions consisting of poor soil. It comes in red, gold or brown color with a width of 3-inch and has a short life span. The flower is commonly called Black Eyed Susan consisting of yellow to orange petals with a deep brown to black center. Gloriosa Daisy thrives well in hot climates and grows up to a height of 3.5 feet. It can be easily found in India with a blooming season in May. The flower changes its color from purple-brown to dark red at the time of full bloom with exceptional fragrance and appearance. They are meant to add color and fragrance to any garden. With colors ranging from light yellow to golden brown, it has found its use in religious and medicinal areas. The extract from the flower is also used as a food coloring agent and also helps in keeping the pests away. With a spike of 7 inches, these flowers bloom over the 12 to 24-inch plants with flower colors in the red or blue hues. The flowering plant prefers the sun in the Northern hemisphere but likes a bit of shade in the Southern hemisphere regions. This is a flower that is known to boost love and romance among people. And it is easily available in the summer season. With a little care and attention, the flowers can keep blooming throughout the season. It is an ornamental vine that can cover the entire fence, pavement and other nearby areas of your home. Bougainvillea is a native of Brazil and blooms well in summer climate. It grows rapidly but you need to be aware of its sharp thorns that need to be handled with care. There are multiple varieties of dahlias that arrive in multiple colors and sizes. The flower consists of symmetrical bright colored petals that grow with different types of nutritional requirements. With the ability to bear extreme summer temperatures, it can easily sprawl along your garden. You need to stop overwatering the plant as it can weaken the support of plant from the soil. The specialty of this flower is that it can effortlessly grow in warm climates and without much care from the person involved in the gardening activities. It is one of the best flowering plants for the summer. The plant can easily adapt to all other weather conditions with minimum care requirements. This autumn bloomer comes in color varieties such as red, orange, purple, white and yellow. The flower has a short life span which requires the plant to be grown every year for fresh blooms. The semi-cone and partly tube-shaped flower is originally known as beardtongues or snapdragon and fits as a perfect summer flowering plant. They grow in masses but require considerable spacing in order to avoid crowding. It belongs to the family of the Asparagus family and grows well in warm climates. It is a good indoor household plant as you can easily grow it in a flower pot with a height of about 12-15 inches only. They are a perennial flower that usually blooms in the time of early, mid or late spring. Daffodils are available in various colors such as yellow, orange, white, red, and peach with an amazing fragrance. Although, all the varieties of zinnias thrive well in hot weather Profusion zinnia is well suited for hot climates. The Profusion White, Orange and Cherry zinnias consist of daisy-like flowers that are best grown in a lawn. Lotus is a common water plant and is also the national flower of India. The flower comes in the hues of bright pink and white which will certainly add charm and elegance to your garden. Arriving in a variety of colors like white, red, pink, lilac or purple, these flowers require full to partial shade along with moderate water. It is a clover-like plant which grows well in all hot regions. The flower is available in various colors and can be easily planted in the outdoor or indoor environment. Oxalis grows up to a height of 6 inches and has a short flowering season of 8-10 weeks only. 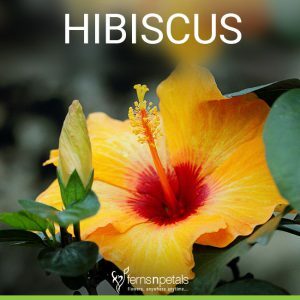 The other name of perennial hibiscus is rose-mallow and swamp hibiscus. It belongs to the flower community of the Eastern and Southern region. These red, pink or white flowers can go up to a size that can be around 2 to 8 feet high. One of the most popular flowers among the gardeners, it grows quickly. Petunias are available in pink, red, white, yellow and purple color which can be easily used in hanging baskets and planters. It is a deep steel blue flower which produces stunning conical flowers which are surrounded by a wreath of silvery, spikey bracts. The flower is also known as alumroot which is widely known for its deep purple leaves. The tiny perennial flower blooms on stalks present above the leaves and appear in the late spring season. The flower comes with its unique set of beauty and fragrance that can easily live for 100 years without much care and maintenance due to its ability to withstand cold weather also. They symbolize love, romance, and prosperity. This wonderful-looking flower can be easily seen in tropical or subtropical regions. The tree of this plant offers amazing flower clusters in the colors of white, red, pink, purple and yellow. These flowers are mostly used as wedding jewelry and symbolize new beginnings, charm, grace, and beauty. They are a perfect summer flowering plant that needs to be grown annually. You can use these pansies in as containers, borders, and ground covers because they have a charming appearance. The lineage of pansies come in three colors – yellow, purple, and white. This bright look would cheer up everyone! The flower comes in a variety of colors and grows well in different types of soil conditions. Daylily can easily grow well in less water and light conditions which keep them blooming throughout the summer. This daisy-like flower having a height of 4 inches comes in hues of pink and purple that grows well in summer climate. Purple Coneflower blooms in a perennial manner ranging from the mid-summer to autumn season. Lavender is a perfect plant for summer conditions as it loves hot climates. 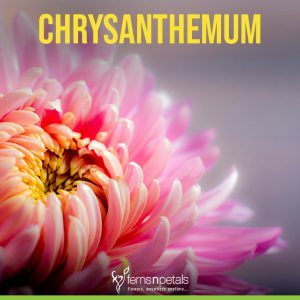 You can grow this flowering plant near your patio or windows to offer a uniquely fragrant and beautiful picture to your home. 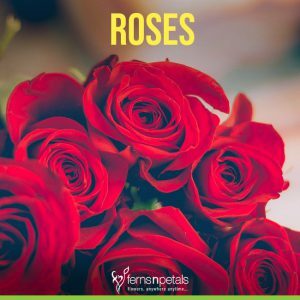 With minimum care guidelines, you can grow these refreshing flowering plants in your garden or balcony in this summer season. You may visit the local nursery or buy these plants online. These flowering plants will improve the air quality and offer a breath-taking view both. So, get ready as it is time to rejuvenate your home in the hot humid climate with a pleasant fragrance all around your home.